So Father’s day was just passed on June 17, so if you’re a little late to the game then no worries we have just the gadget for you, I mean your dad. This belated gift for your dad something he will not only be able to use but also something that he’ll really enjoy and set your gift apart for years to come. This gadget gift ideas list has everything you could possibly think of gifting your dad and within a variety of price ranges so that you can not only gift your dad that something special but you also don’t have to burn a hole in your pocket in doing so. So coming at the top of the gadget idea list is a power bank that can not only charge your phones but also a few home appliances as well. 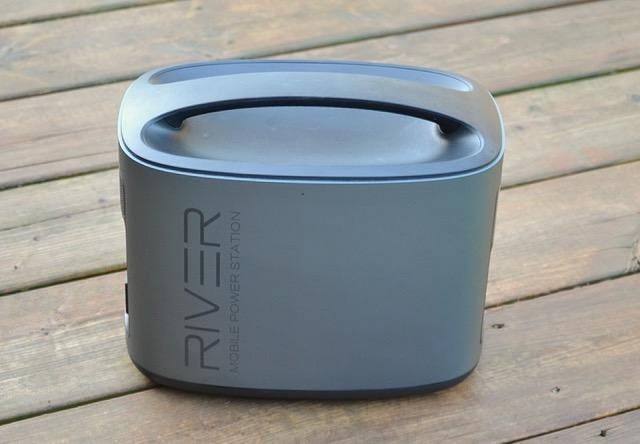 Gifting a power bank to dad this Father’s Day is great idea especially if it’s the RIVER Mobile Power Station. This dandy gadget comes with a number of output ports to meet all your charging needs as well as a cooling fan and weighing in just 11 pounds it can be carried with you on your hiking trips as well. It is IP67 water resistant and if need be comes with a carry on case as well. Coming in with 114,000 mAh of juice this gadget is capable of powering your devices twice over. You can even charge up to 11 devices at a time. This gadget gift ideas may not come cheap but will be a really handy tool coming in at $599. No more jangling keys and more Swiss knife if you please. Think of this gadget gift ideas as a cool Swiss Army key chain but instead of a number of tools you have yourself a number of keys. You can even get some of the attachments customized according to dad’s requirements. You can get everything form a pen to a USB Flash drive and Knives custom attached to the Swiss army knife like keychain. No more lost keys at just $19.99 with this cool gadget gift ideas. This is one of those gadgets that will really appeal to a dad who loves barbeque and what’s more this gift combines BBQ with a high tech gadget which will surely grab anyone’s attention. Basically the Timberline 850 is a wood fired grill with a fan in a sealed double wall area that uses the goodness of conviction cooking to ensure that the food is evenly cooked instead of having a rotisserie. Not only that but the temperature of this high tech grill is automatically controlled you can even connect the Timberline 850 to the WiFi using Traeger’sWiFIRE controller. This grill comes with a maximum temperature setting of 500 degrees and can even be put on low burn to cook meat all day if dad so wishes. This cool gadget even comes with an app that gives cooking instructions on certain dishes and can program the high tech BBQ to those meal settings. 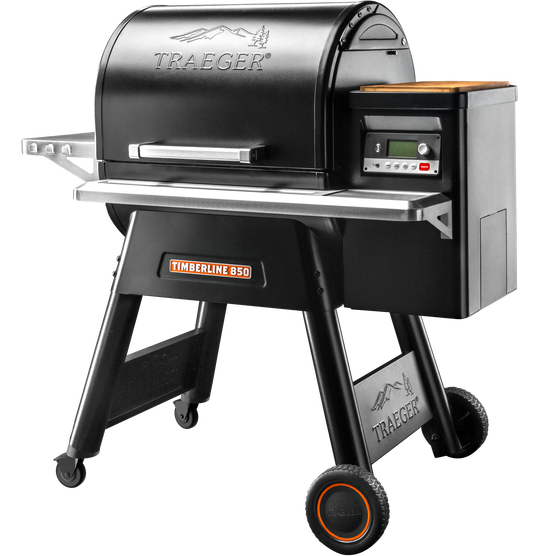 While this grill may be awesome, this gadget gift ideas will set you back a whopping $1700, but guaranteeing that you oh sorry dad will love this gift. 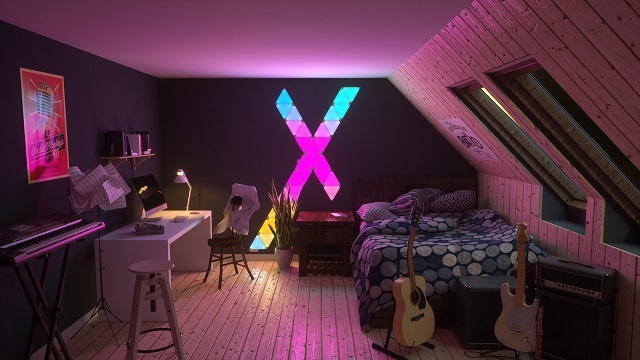 Unlike your average day screw on lights this nanoleaf smart light is in the shape of flat triangular panels with 9 inches of LED on the sides. What’s more is that you can design your own lighting system with this gadget idea as these flat triangles can interlock to create the shapes of your choosing. Up to 30 triangles can be interlocked with this gadget and it comes with its own 3M Command Strip tape. This gadget gift ideas comes with its very own app that allows you or dad to customize patterns on the triangles as well as it can be voice activated with Google Assistant, Alexa or Siri. Want to use these lights with music so that it pulses to the rhythm, it even has a music visualizer than you can get separately. You can place these nanoleaf lights flat against a wall or even create 3D shapes to sit on your Desk or other surface. At just $200, this is one gadget idea you may not want to give a skip. Capture the moment with this smartphone lens. Adding DSLR like quality to your smartphone camera is what this lens is all about. Help dad take those amazing photos at family picnic or when he is with his friends too. Moment makes smartphone lenses rendering DSLR quality to all your pictures. 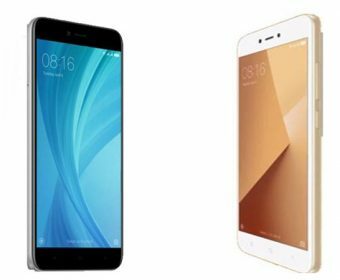 It is compatible with iPhones, Samsung Galaxy’s or even Google Pixel phones among others. These phones may already come with a killer camera but to add a little more to your picture the Moment Camera is all it takes. These lenses are precision made with metal enclosures and a high quality cinema like glass. 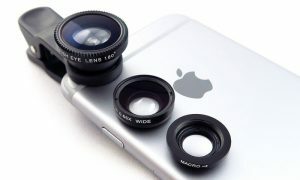 You need a case to go along with these lenses and those start at $29.99 while the lenses themselves will set you back by $89.99. This is one or did I already say that? Well make that one more gadget gift ideas you don’t want to miss. 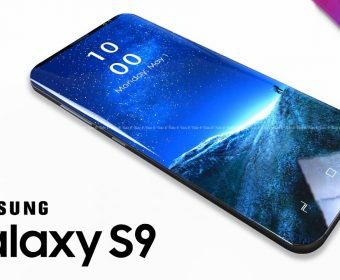 These gadget gift ideas are here to help you along your way but apart from these there is so much more to gift dad, like maybe a cool watch but keeping in mind everyone’s price preferences and what dad will love the most, this is one gadget gift ideas you might not want to skip over. Dad’s may not be all that tech savvy but these gadget ideas are not all that difficult to use and is guaranteed to be memorable in dads eyes for years to come. 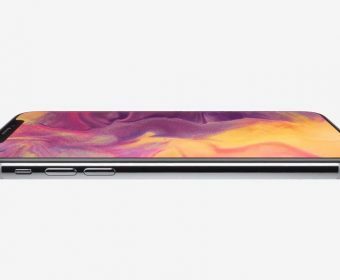 Next article Should You Upgrade Your Phone Before Traveling?